Look at you on footsibishi laughing. Man, a car is a car and for a celeb, anything that will not get them seen on a boda boda. 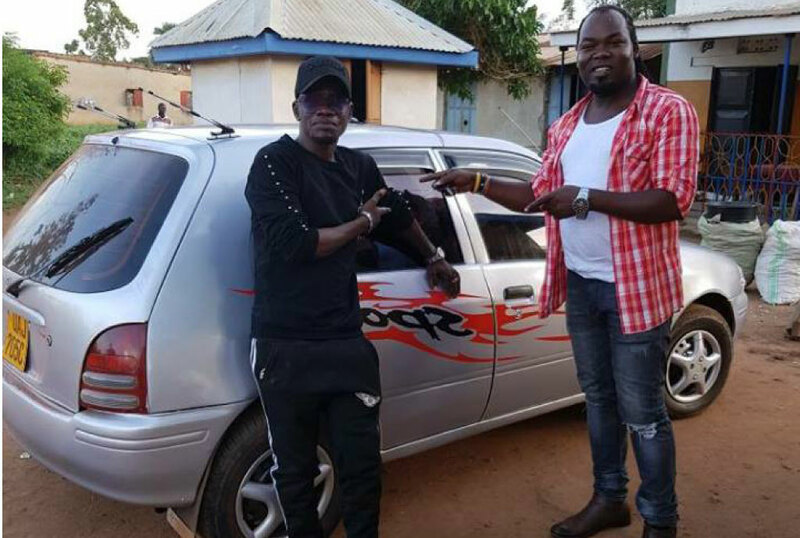 Gulu-based dancehall artiste Born Town Okeng has been in the music industry for long and he is quite known in northern Uganda. However, with all the fame, this guy remained down to earth – using his boda and taxis. But his new manager, Easy Bash, was not going to take this, and emphasised that the artiste get himself a car. And indeed at the weekend Born Lucky was the new owner of a second hand Toyota Starlet. When we spoke to Easy Bash, he said Born Town was one of the biggest artistes in northern Uganda and he was not happy seeing him walk or take bodas. Born Town is known for songs such as Make Me Dance and Gurunet, among others.